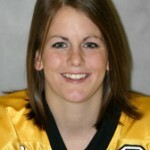 Gustavus Adolphus College women's hockey player Andrea Peterson has been named Minnesota Intercollegiate Athletic Conference Women's Hockey Player of the Week for the week ending Jan. 29, 2006. Peterson tallied four goals and four assists in leading the Gusties to a weekend sweep of St. Olaf last weekend by a combined 22-2 margin. The Gusties (No.3 USCHO.com Division III women's poll) face No.2 Plattsburgh (N.Y.) Thursday night in Plattsburgh. The Gustavus women's hockey team continued its offensive onslaught with an impressive 10-0 win at St. Olaf on Saturday night. The Gusties outscored the Oles 22-2 in the two game series this past weekend. Andrea Peterson led Gustavus with four goals and four assists for eight points in the two games. 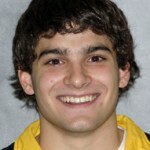 Gustavus Adolphus swimmer Billy Cuevas (Fr., Woodbury, Minn.) has been named Minnesota Intercollegiate Athletic Conference Men's Swimmer of the Week for the week ending Jan. 29, 2006. Cuevas picked up individual wins in the 500 Free (4:45.71), 200 Butterfly (1:58.03) and 200 Individual Medley (2:00.92) in a 187-85 dual win over Saint John's Saturday in St. Peter. 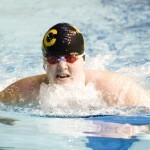 Cuevas is the fourth Gustie male swimmer to take home league honors this season. The Gustavus Nordic ski team capped off an exciting weekend of action at the NorAm SuperTour stop at Telemark Resort in Cable, Wis. Senior Erich Ziegler opened the weekend with a 19th-place finish among collegiate skiers in Saturday's 10K Classic and followed that up with a first-place finish among collegiate skiers in Sunday's 15K Freestyle. Ziegler's win was the first by a Gustavus skier in a NCAA/CCSA qualifier. The Gustavus men's basketball team dropped to 8-5 in MIAC play with a 76-58 loss at St. Thomas on Monday night. Senior wing Adam TeBrake led the Gusties in scoring with 19 points. The Gustavus women's basketball held St. Thomas to nine points and 3-of-16 shooting in the first half Monday night on the way to a 51-32 win at Schoenecker Arena in St. Paul. 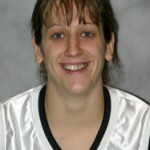 Jess Vadnais led the Gusties with 17 points, followed by Bri Monahan with 16. Gustavus, now 13-4 overall and 11-3 in the MIAC, will face Carleton Wednesday evening in Northfield. Senior Chandra Daw and sophomore Laura Edlund each registered a pair of top-30 finishes to lead the Gustavus women's Nordic ski team to a third-place team finish at the NorAm SuperTour stop at Telemark Resort in Cable, Wis. last weekend. The event served as the third of five Central Collegiate Ski Association (CCSA) qualifiers for the NCAA National Collegiate Skiing Championships in Colorado Springs, Colo. in March. Led by four wins by junior Scott Hagemeyer (two individual, two relay) and three others by Billy Cuevas, the Gustavus men's swimming and diving team captured wins in 14 of 16 events en route to a 187-85 dual win over Saint John's Saturday afternoon in St. Peter. The Gusties, who set a pair of Lund Natatorium records in the win, improve to 7-0 in duals this season. The Gustavus men's hockey team earned a split over St. Olaf when they scored a 4-3 overtime victory over the Oles Saturday night in St. Peter. Sami Idris redirected a Loren Havemeier shot into the net just 70 seconds into the extra session. St. Olaf had tied the game with 45 seconds to play in regulation to force overtime. Loren Havemeier, who scored a goal and an assist, led the Gusties. The Gustavus women's swimming and diving team picked up seven individual victories, but wound up on the short end of the score Saturday against College of Saint Benedict, falling 157-143 to the Blazers at Lund Natatorium in St. Peter. Liz Hartman picked up a pair of victories, while Laura Watkins, Katie Haynes and Sara Pfau added a victory and a pair of runner-up finishes. Gustavus finishes its dual season at 4-4.